On the occasion of Krishna Janmashtami ashutosh Charitable Trust celebrated the eve at Jharkhandi Shiv Temple, Shahdara, East Delhi. Whole temple was decorated with colored lights and different types of Balloons. Effigy of lord krishna and other god were highly decorated with beautiful garlands. 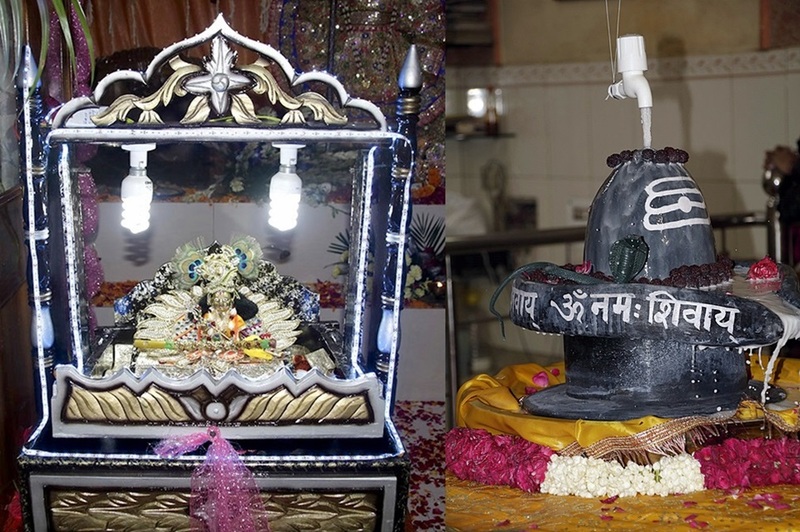 Lord Shiv pindi was covered with ice bricks which was decorated well, different children’s were dressed up like god’s avatar and perform their roles.Huge amount of Devotees were seen gathering and worshiping the birth celebration of lord krishna. द्वारका में विशाल रामलीला मंचन का आयोजन द्वारका सेक्टर 10 स्थित रामलीला ग्राउंड में भीड़ उमड़ रही है.